The annual Anthem Go Outside Festival is jam packed with over 175 FREE activities you can try throughout the weekend of October 12-14th. While admission and most of the activities at the Anthem GO Outside Festival are free, there are some races that come with registration. (But they are definitely worth the price.) Most of the races onsite include amazing swag and prizes from outdoor brand sponsors that are unlike your average 5k. GO Fest weekend offers competitions and races for all ability levels from 2-5 year olds, to casual adventurers, to competitive athletes — everyone can compete during Go Fest weekend – Oct. 12-14 – just make sure to register in advance for your share of race swag or prizes. 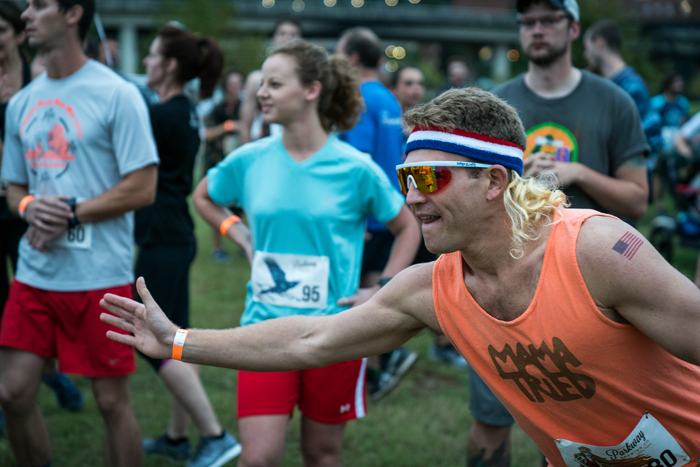 Parkway Brewing Beer Relay Presented by Fleet Feet: Run four laps with your team and partake in Majestic Mullet. Plenty of prizes and a raffle. Must be 21 or older to enter. Virginia’s Blue Ridge Gran Fondo: Cyclists have route options of 30, 50, and 80 miles, so there’s something for everyone on the scenic roads in Botetourt County. This event starts and ends at the scenic Ballast Point Brewery. Carvins Cove Mountain Bike Challenge: This will be the first true XC lap race ever held at Carvins Cove (the country’s 2nd largest municipal park with 60+ miles of trail); three separate courses with challenges for different skill levels. Hometrust Bank Superhero Race: This family and dog-friendly event captures the spirit of what GO Fest is all about. You don’t have to be a professional athlete or even a serious runner to have a fun day outside; 5K runners will having timing chips, but walkers, dogs, strollers, wheelchairs, and kids are all welcome. There’s also a fun run for Little Heroes (ages up to 10) that has them leaping tall buildings and dodging kryptonite! LewisGale Salem Half Marathon and 8K: The race starts and finishes on Main Street and takes runners on a tour of Salem through neighborhoods, Roanoke College, and the Roanoke River Greenway. 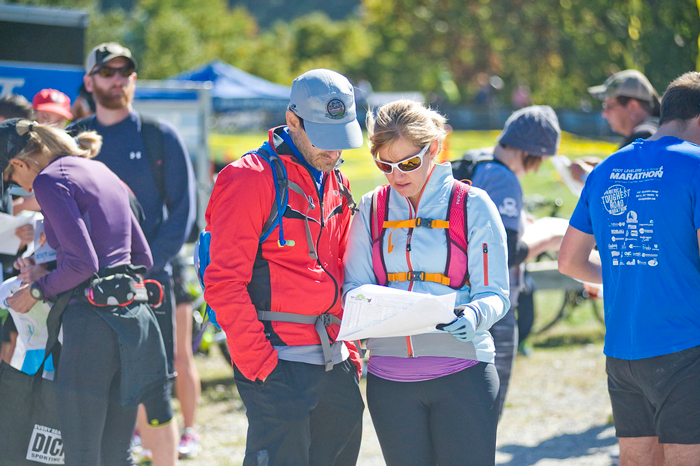 Adidas Outdoors King and Queen of the Mountain Trail Running Challenge Presented by Runabout Sports: Challengers have from 7 a.m. on Oct. 7 until exactly 3:37 p.m. on Oct. 13 to post their best Strava time on the assigned segment up Mill Mountain to take top honors and win swag. The King & Queen of the mountain each receive a $200 gift card from Adidas Outdoor, and anyone who attempt the challenge will be entered to win 1-of-4 $100 prize packs from Runabout Sports Roanoke. Adidas Outdoor King and Queen of the Mountain Bike Challenge Presented by Runabout Sports: Challengers have from 7 a.m. on Oct. 7 until exactly 3:37 p.m. on Oct. 13 to post your best Strava time on the assigned segment up Mill Mountain on a bike to take top honors and win swag. The King & Queen of the mountain each receive a $200 gift card from Adidas Outdoor, and anyone who attempt the challenge will be entered to win 1-of-4 $100 prize packs from Runabout Sports Roanoke. Carilion Children’s Strider Bike Race: The cutest thing on two wheels you’ve ever seen! GO Fest Friday Night Alleycat: It’s not exactly a race, but it’s sure to get your competitve juices flowing. A fun, semi-competitive bike event with surprise stops and adventurous challenges along the way. Ultimate Frisbee Tournament: Get in on the ultimate action! Eight mixed teams, ultimate tournament. You can find a list of all the races and details here. And while it’s not a race per se, you should rush to get music VIP packages for GO Fest. The VIP package includes access to a special artist lounge with exclusive beer taps, access to private porta-potties, ability to rub elbows with some members of the GO Fest music lineup, and a swag bag. Buy yours online.